To safely kill bugs you can use food grade diatomaceous earth. It is a powder that is the fossilized remains of marine phytoplankton. It is sharp, and cuts the insects. This is a guide about diatomaceous earth for insect control. We had a flea problem inside and outside our home. A friend of mine gave me a bucket of diatomaceous earth or also called DE. She bought it from the local feed store. My friend uses it on her livestock, as well as, in her food to keep her wheat berries that she grinds in her mill pest free. It coats the wheat berries, but since it's food safe it's okay that she consumes it. Make sure the kind you buy is food safe. Some pool companies sell it, but that is NOT the kind I am talking about. When you touch it, it feels like chalk. Its abrasiveness is what kills fleas, ants, cockroaches, and more. It dries them up from the inside out! It is not a chemical and is safe to use in the garden as well! It is recommended that when you use it wear a mask to avoid breathing in the dust. How to use: I reused an old baking powder container as it had tiny holes in the container. I sprinkled it lightly into our carpets to let it settle down and then let it sit for about 15 minutes. Then, I vacuumed it up. Don't worry about trying to get it all out. The DE will work its way down into the carpet fibers and there will do its work. Anytime a pest comes into contact with it, it will dehydrate them. One application lasts about a year. It is safe around pets and children. We have not had a single flea found inside or outside our home since. I also used it around our home to get rid of the many ant hills in our yard. Because it's also food safe, I sprinkle about a half teaspoon in our cat's food dish. When they consume it, it also kills internal parasites. I called the feed store to see how much it was and they sell a 50 pound bag for $20. It may vary in your neighborhood, but just to give you an idea. The bag she bought has lasted her 7 plus years and the ice cream bucket size she gave me hardly looks touched. A little bit goes a long way. Do you have cockroaches lurking around your home? This works like a charm - Diatomaceous Earth. It sounds like a big name, but it is simply a total natural sea fossil ground to like talc powder. I know this is a creepy subject, but bed bugs are becoming rampant. 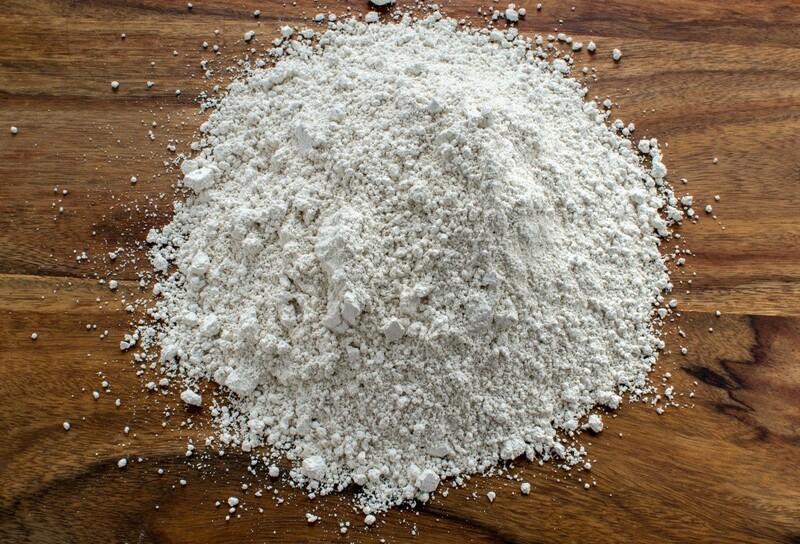 There is a very save chemical called diatamaceous earth you put under all the legs of every bed and couch in your house so they call in it and die. Also, wrap your beds in strong plastic wrap - the box springs as well. Dust your couches everywhere (including underneath and under the cushions). Diatomaceous earth will not hurt you or your pets. I hope this is helpful for some of you that are having the same problem we are having. Diatomaceous earth (DE) is excellent and 100% natural for getting rid of fleas, but please be sure and only use the "food" grade diatomaceous earth, not the gardening kind and especially not the pool grade. I've noticed quite a few posts about insect issues in the home. 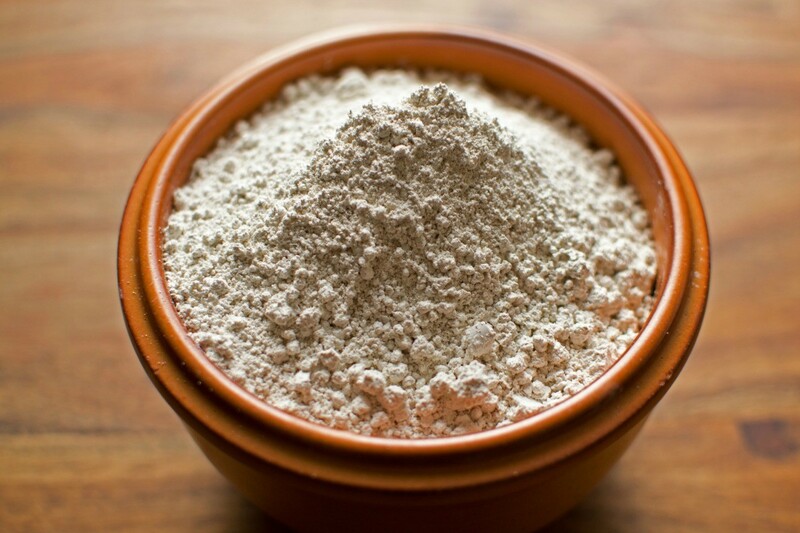 A great way to control bugs is with Food Grade Diatomaceous Earth. It is not a poison so therefore it is safe and healthy for your pets and family. It works by dehydrating their exoskeleton. Any advice for using food grade DE for getting rid of German cockroaches? We had a water leak under our kitchen sink and got German cockroaches -the first time we'd ever had a roach problem. I used borax-sugar for about three weeks with no benefit. DE took care of the problem within 3 days. I put it down and left it down for about a week before cleaning it up. That was 4 years ago, and we've not seen a roach since. Diatomaceous earth is very effective at killing ants. When ants' exoskeletons come into contact with it, they die. It also is relatively safe for humans and pets, making it an ideal solution for eliminating ants. This page is about using food grade diatomaceous earth for getting rid of ants. Food grade diatomaceous earth is an flea killer that is non toxic to humans and animals. This is a guide about using diatomaceous earth for fleas. Adding DE (diatomaceous earth-food grade) to your seed starting soil will eliminate most little buggies and grubs that kill the seedlings. 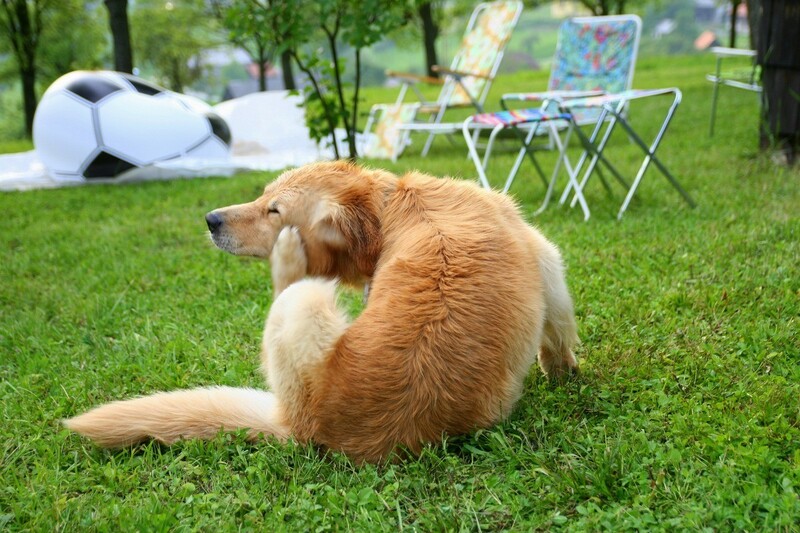 DE can also get rid of parasites by putting it in your dog's food, it will also help older dogs with joint troubles. DE is one of the best natural product I have ever used. The way it works is the silica (which DE is made of) slices through the critters bodies and kills them. I use it every day on my animals. I mix it in my dog, cat, horse and chicken feed. This will help kill internal parasites and it only takes a very tiny amount. Also, I use it externally on all my animals to help kill fleas, ticks and mites. I lightly dust them with the DE and use my bare hands to rub it in. With my 30 chickens, I dust their bottoms with DE to kill mites, dust the chicken coops with each cleaning to kill the mites that hide in the cracks and roosts, and put a small amount of DE in their favorite dust bath sites. We have a pond at the bottom of the property and we have found ticks and scorpions. We have a Pomeranian (long hair) and a Siberian Husky. Help. Food grade diatomaceous earth, found at home improvement stores. Not pool grade. Sprinkle it all over, even on your pets and in the house. Some even recommend putting a bit of it in your pets' food. Dave Owens, our local garden guy, even puts a bit in his mouth on TV to show it is harmless except to bugs. I use it all the time. Diatomaceous Earth is a safe and effective way to get rid of bugs such as; centipedes, silverfish, spiders, etc. I sprinkle it in my closets, under sinks, in the basement, along baseboards, in the garage or any place you have had bugs. DE certainly is good for bug control. Just be sure it's the type you can buy in organic gardening stores, etc., and not the more highly processed kind used in some swimming pool filtration systems. I couldn't find diatomaceous earth in any gardening shop in all Miami, They were like WTF? when I asked for it. I got rid of bedbugs and roaches forever with it. Ut is incredibly effective and cheap. RAID and that kind of stuff are energy food for the bugs.